Getting your client in the perfect pose for your photography can sometimes be easier said than done. Clients can be very particular about how they want to look, and it can be stressful and sometimes overwhelming when you have everything else to think about, including your camera settings and lighting. It is your job, as the photographer, to help your client achieve a pose that flatters them. Here, we take a look at some of the most common mistakes made when posing for a professional photograph and ways to avoid them. No matter your client’s size or age, if their body is turned away from the camera and they turn their head to look at you, it is very likely that your client will have a set of neck creases. Your client is more than likely to not like how neck creases will appear on the photos. There are a couple of easy fixes to avoid neck creases in your photography. These include; turning the upper body and shoulder (the one closest to you) more towards you so it opens up that area and minimises the creases. Another technique, if your client has long hair, is using their hair to strategically hide the creases. Alternatively, you could adjust your shooting position so that it points to the side of your client rather than directly behind so that they don’t need to twist their head as much to see the camera. When standing straight in photographs, it can often look stiff and unflattering. Ask your client to bend parts of their body to make them look more relaxed, such as at the elbow and to tilt their head slightly. It is important that you help them feel relaxed to get the most out of your photographs. Remember, ‘if it bends, bend it’. Taking photographs from below can be unflattering as they can make the subject look bigger than he or she actually is. It is best to photograph your client either from above or straight on. 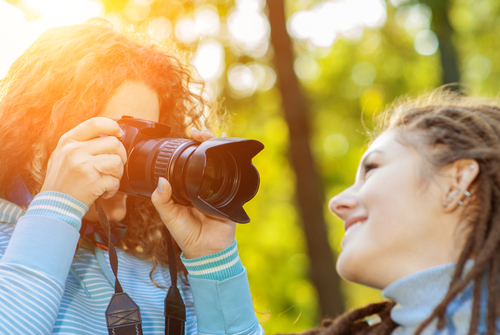 Photographs from above help to avoid double chins and makes your subject appear slimmer. 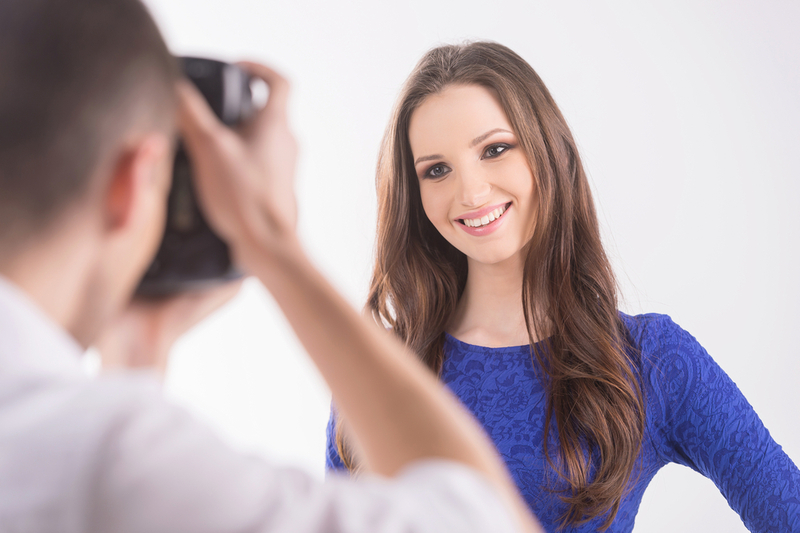 Avoid taking photographs of your client with their shoulders pointing towards the camera. This can be unflattering as shoulders are the widest part of any body. Make sure you angle your client’s shoulders to ensure the photograph focuses on the face. Speak to your client and be aware of any body insecurities, so that you can avoid highlighting them in the photography. When taking a photograph, many clients are not sure what to do with their hands. Having their hands hanging by their sides can both feel and look awkward. A few ideas to make this look less awkward is putting the hands on the hips, crossing arms, or putting their hands on an object closer to them. Unless you want to want to convey tension in the photograph make sure your client’s hands look relaxed. In conclusion, you need ask your client to experiment with a variety of different poses to see which flatters him or her the most. Just because one person looks good in a particular pose, doesn’t necessarily mean your next client will, too. Sam is a creative writer who loves photography and travel, especially when combined. She has a keen interest for landscape photography and loves browsing the internet looking at artists and photographers who have captured breathtaking destinations, so that she can add them to her 'places to visit' list.